SHAHNAZ HUSAIN is globally renowned for organic beauty care, blending ancient Ayurvedic traditions with the latest scientific techniques. 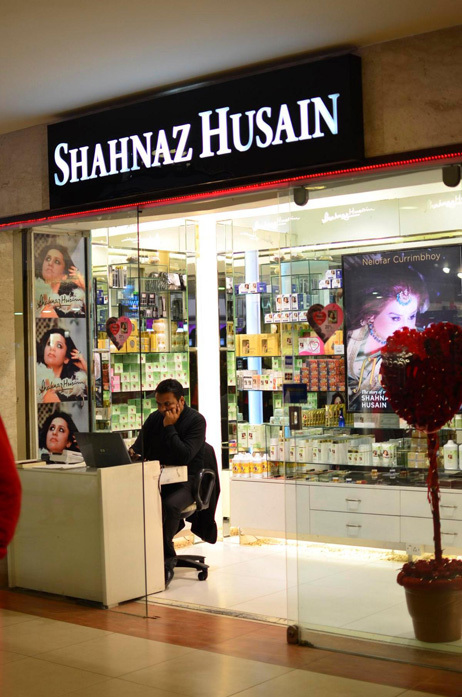 Known worldwide for an integrated system of SALON TREATMENTS and PRODUCT EXCELLENCE, Shahnaz Husain has devised path-breaking specialized salon treatments and formulated over 350 products. Based on the principle of natural care and cure, the formulations are for general care and include highly specialized therapeutic products for specific skin and hair problems. They contain herbs, flowers and fruit extracts, essential oils, precious metals, gems and other natural substances. With a successful track record of four decades, the legendary Shahnaz Husain brand has been tested by the most challenging test of all…..the test of Time.